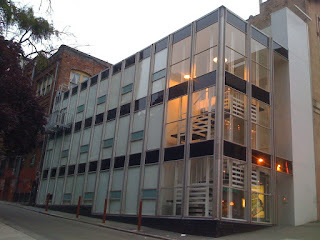 675 California Street, SF. I love the proportions and the simplicity of this structure. Looks great at night with the shades up, too, but this doesn't happen very often, as the design firm headquartered here probably doesn't like to have its work-in-progress on display.